Brothers George and Edward Blum were 9 and 12 years old, respectively, when they arrived in New York from France in 1888. They would both return to study at the Ecole des Beaux-Arts in Paris before opening the New York architectural firm, Blum & Blum in 1909. It was a partnership that would change the face of speculative apartment buildings in New York. Within the next two decades the Blum brothers would be responsible for at least 120 apartment houses. Their grasp of French architectural trends that transcended their Beaux-Arts training—like Art Nouveau—would impact their designs in New York. While other architects stuck to the mainstream to insure affordability and acceptance for the developers; the Blums used an unexpected variety of materials and ornamentation that made their buildings stand out. The Adlon would be no exception. Hired by the Adlon Construction Company, the Blums designed a 12-story structure with Italian Renaissance bones; but distinguished by colorful cast stone, inset tiles, and creative brickwork. Inset Arts and Crafts-style tiles and plaques decorated the piers; the two-story pressed copper fluted pilasters of the 11th and 12th floors appear, at first glance from the street, to be ordinary Ionic designs—yet a closer inspection reveals exuberant Arts and Crafts designs in the capitals and in the spandrels above. To cater to its anticipated high-end residents, the management hired 24-hour uniformed staff, offered valet service and additional servants’ rooms in the building. 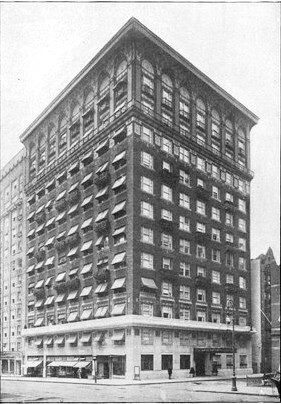 Simultaneously the investors (Joseph Graf, Morris Goldstone, and Alexander Pincus), built an adjoining 13-story apartment, the Aljomor. The exotic-sounding name was created by using the first letters of each man's first name. The Adlon’s location drew theatrical types, including Zeigfeld Follies girl Vera Maxwell (and her mother), actor DeWolf Hopper, and sister actresses Jean and Helen Raymond. But nearly from its opening The Adlon seemed destined for scandalous press. Among the first tenants was Mrs. Jane Hathaway. She became friendly with the Russian Prince Nicholas Vladaovich Engalitcheff whom The Evening Sun called “erstwhile pet of the Czar.” According to Princess Evelyn Partridge Engalitcheff, however, the pair became too friendly. By Christmas Eve 1915 everyone was in court and the newspapers reported the juicy scandal in detail. The princess sued her husband for divorce, seeking custody of their 14-year old son, on the grounds that he was philandering with Mrs. Hathaway. The Times printed verbatim questions and answers between counsel and witnesses. “Did Mrs. Harathaway ever kiss you,” the prince was asked. “’That’s a vulgar lie,’” he replied with some emphasis, said The Times. Elizabeth Hammett, “a colored servant,” however, was less sure about that. “She said that the Prince was in the habit of calling on Mrs. Hathaway in the afternoon,” newspapers reported. “He never remained to dinner. “He was a congenial gentleman, and would sit on the lounge with Mrs. Hathaway and make love to her,” she testified. The prince apparently found the entire procedure beneath him and when his wife’s attorney, Almuth C. Vandivetr, asked his age “the Prince growled again and said: ‘Why, the idea! I decline to answer that question, sir, and I defy you to force me to answer it. It is insulting,” reported The Evening World. While the Russian prince and Mrs. Hathaway were dallying away the afternoons in her apartment, wealthy broker Max Blumenthal was courting the actress Louise Meyers. Ms. Meyers had most recently been seen on Broadway in the Follies of 1914. If the age difference between the financier and the entertainer raised some eyebrows, they were further raised when the couple obtained their marriage license on June 25, 1915. The ecstatic groom threw himself an $80 a plate bachelor dinner which the New-York Tribune said “recently caused considerable comment.” Unaffected by wagging tongues and newspaper gossip, the newlyweds sailed off to honeymoon at the Panama-Pacific Exposition. A less sensational marriage that year was that of tenant Dr. Henry S. Pascal to Irene C. Toumey. Pascal was on the surgical staffs of the Harlem and St. Elizabeth hospitals. Mrs. Estelle Allison lived in the building at the time. As the country became embroiled in World War I, Mrs. Allison devised a clever fund-raising scheme for the benefit of the War Camp Community Service. She sent little boys in Boy Scout uniforms onto the city buses and elevated train platforms to sell paper dolls dressed in Allied uniforms. It was a commendable effort—or would have been if the Boy Scouts were really Boy Scouts and Estelle Allison was not pocketing the money. The plan fell apart when one of the boys approached District Attorney Swann on a Fifth Avenue bus in the summer of 1918. The prosecutor watched the boy work the crowd, selling the “Fannie Dolls” for 15 cents each. Swann became suspicious and initiated an investigation that included at least two visits to Mrs. Allison’s apartment. An indignant Mrs. Allison defended herself before the prosecutor. “She thought, she said, that there was no way in which she could help make the world quite as safe for democracy as by boosting the ‘Fannie Doll’ market,” reported The Sun on August 2, 1918. On the morning of October 2 Adlon employees smelled gas in the hallway and summoned Patrolman Matthews of the West 47th Street Station. Six of the lighting jets in her apartment were turned on and the despondent widow was found dead of asphyxiation. With unfortunate timing, the Howard brothers decided to try their luck just as undercover detectives “did a little mingling,” as reported in The Sun. The men were both arrested and held “on a charge of disorderly conduct in obstructing traffic while placing bets on horse races,” the newspaper reported on September 22. The following year was a good one for real estate investors and on July 6, 1919 The New York Times said “That the realty market is on the boom was shown conclusively by the volume and importance of last week’s transactions.” Included in the sales were The Adlon and the Aljomor directly behind it, now joined to become what the newspaper called “The Adlons.” Purchased from the Adlon Construction Company by developers Bing & Bing for $1.5 million, the combined buildings now contained ten retail stores and 142 apartments. A year earlier William and Eva Sheer had been married and moved in. Both quickly realized that the marriage was an unhappy one and Mrs. Sheer moved to the Ritz-Carlton Hotel. But divorces in 1919 were not so easy to come by. William and Eva schemed to produce evidence of infidelity. Eva produced witnesses “to prove that her husband and another woman had at 11 o’clock one night last August engaged a room in a hotel on Columbus Circle,” reported The Sun on March 22, 1919. The judge was not buying it. The newspaper said “The possibility of collusion between Mrs. Sheer and her husband to concoct evidence justifying the decree was broadly hinted by the Justice.” The court denied Eva’s decree of divorce. Motion pictures provided a boost in actor Conway Tearle’s income. The stage and film actor was living in The Adlon with his second wife when he signed a contract with Lewis J. Selznick for $1,750 a week “with an optional arrangement under which Mr. Selznick may retain the motion picture star next year at $2,000 a week,” reported the New-York Tribune on May 4, 1921. The salary would translate to about $20,000 a week in today’s dollars. Word of Tearle’s auspicious deal reached his first wife, Josephine Park Tearle, who was receiving $25 a week alimony. She took the actor to court, demanding a raise in alimony to $65 a week. Conway Tearle’s attorney complained to the judge that the actor’s former wife was trying to ruin him. The Adlon’s proximity to the Theater District continued to attract entertainers. Married stage actors Joseph Hart and Carrie De Mar lived here at the same time as Conway Tearle. Hart had been a child actor, appearing in Uncle Tom’s Cabin and Ten Nights in a Barroom. Now the middle-aged actor was best known on the vaudeville stage and as a producer. On the morning of October 3, 1921 the 59-year old died “after a stroke of apoplexy,” according to the Tribune, in the Adlon apartment. Carrie De Mar, his wife since 1905, was with him at his death. On February 22, 1935 the doctor plunged the 10th floor apartment into darkness and summoned spirits to lay hands on Officer Dolan’s exposed back. Detective Frank O’Neill waited silently in the hallway outside. Into the darkened room a glowing spirit appeared. It was, in fact, Dr. Gilbert naked underneath a phosphorus-impregnated cheesecloth shroud. When Detective O’Neill burst into the apartment “he caught Dr. Gilbert climbing out of the shroud into an undershirt,” said The Times. The Adlon was thrown into turmoil when a crowd of thirty reporters and photographers, police investigators, spiritualist debunkers and supporters, lawyers and Judge Jonah J. Goldstein tried to crush into the Gilbert apartment on March 3, 1935. Gilbert was pressed to produce ghosts, supernatural voices, or any other evidence that he was not a quack. The demonstration finally continued in the “dark-paneled séance room, where about twelve women members and a few male members of Dr. Gilbert’s cult were nervously aflutter.” After twenty minutes, Dr. Gilbert emerged pleading “nervous nausea,” and blamed the newspaper men for the failure of the spirits to present themselves. Dr. Gilbert was charged with practicing medicine without a license. The Adlon would be in the embarrassing spotlight one more time in the first half of the century. In 1936 36-year old John Cook and 33-year old Leon Furman transformed a four room apartment on the 12th Floor into a casino. The living room was set up with a dice table and another room served players of roulette. When plainclothes detectives raided the make-shift gaming hall on January 14, 1937, they found chips in denominations from $25 to $500, liquor and champagne, and three telephones with headsets for relaying horse race bets to New Jersey. The Adlon settled into a more quiet existence afterward. Entertainers continued to live here—actress Gigi Gilpin was here in the 1940s. She appeared with Burgess Meredith and Ingrid Bergman in Molnar’s Liliom and composer Kurt Weill often stayed at her apartment when in New York. Other notables living here at the time were Nannine Joseph, the literary agent who included among her clients Eleanor Roosevelt; Russian-born dancer and instructor Louis H. Chalif; and comedy writer Paula Smith. In the 1950s composer and voice teacher Renato Bellini lived here, as did actor Julian Noa and theatrical agent Jack Davies. Around 1989 the combined Adlon and Aljomor were been converted to cooperative apartments. The magnificent façade had been sorely abused by now. Pieces of the copper and cast stone ornamentation were falling away, the street level was slathered in paint and the iron balconies were gone. In 1999 the owners recognized the importance of the fading façade and initiated a reclamation project. Along with cleaning and repointing, the co-op repaired the cornice and replaced lost detailing, resulting in a resurrected gem of early 20th century apartment architecture. While the young Samuel Jones Tilden was studying law at Yale University and then at New York University in the 1830s, Samuel Ruggles’ grand plan for Gramercy Square, later renamed Gramercy Park, was well underway. Tilden sprang from an old colonial family—Nathaniel Tilden had come to America from England in 1634. Now, in the first half of the 19th century Tilden’s family had grown financially comfortable as manufacturers and sellers of Tilden’s Extract, a popular patent medicine. By the decade before the Civil War Tilden had a thriving legal practice and represented many railroad concerns. His passion, however, was rooted as much in politics as in law. In 1846 he was a member of the New York State Assembly and, by now, Gramercy Square was fully developed. The landscaped park surrounded by a handsome iron fence was lined with brownstone mansions. The semi-private enclave lured some of the city’s wealthiest and most influential citizens. The bachelor politician-lawyer purchased No. 15 on the south side of the park from the Belden Family in 1863 for $37,500 (about $552,000 today). Built in 1844 the brownstone-fronted residence, along with its neighbor next door at No. 16, was designed in the Gothic Revival style. Square-headed eyebrows capped the windows and Gothic-style tracery edged the cornice. Over the entrance way the Belden coat of arms was carved into the keystone. Tilden added a dining room to the rear and, below ground, “a wine cellar of suitable size, to serve a well-to-do man of conservative tastes,” according to a close friend years later. Tilden’s intentions of creating one large mansion from the two would have to wait. In the autumn of that year he was elected Governor of New York. He rented the houses for two years while he held office. So, to maintain civil harmony, the clear loser in the presidential election, Rutherford B. Hayes, was inaugurated. 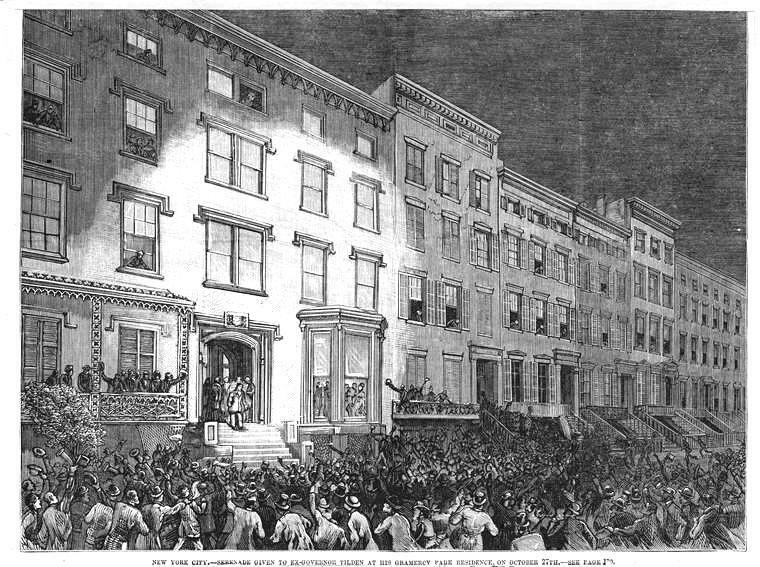 And Tilden returned to his home on Gramercy Park. 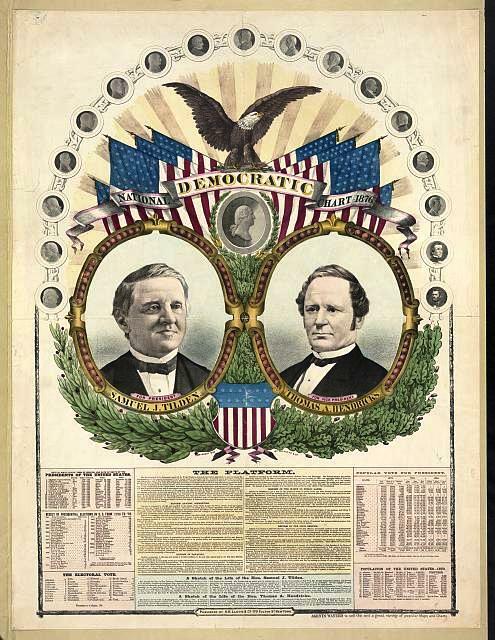 On June 12, 1877 he gave what was considered his concession speech at the Manhattan Club; however the feisty politician pulled no punches in regard to his feelings. 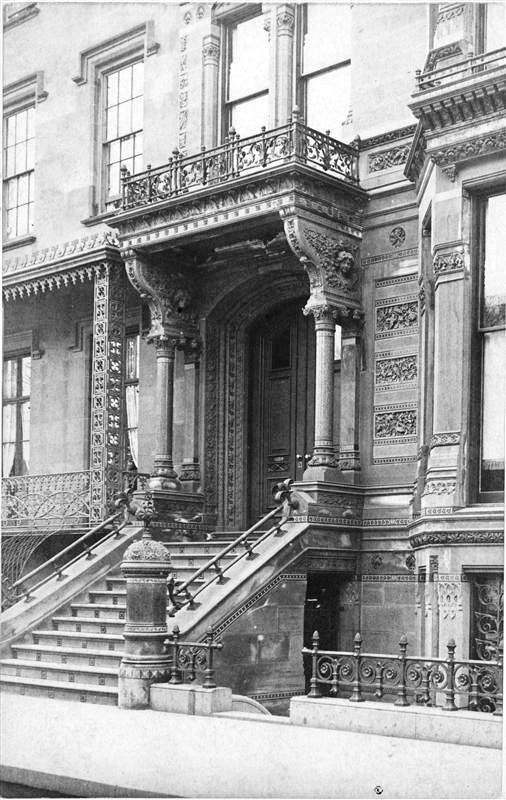 Tilden returned to New York, but according to George Smith, “another year elapsed before the remodeling and connecting of the buildings began.“ He commissioned Calvert Vaux to renovate the two residences into a single 40-room mansion—ample living space for an unmarried man. Perhaps unfortunately the genius of Vaux will forever be remembered almost solely for his work on Central Park. But his far-sighted designs stepped away from the comfortable traditions and provided refreshing and exciting results. For the Tilden mansion he turned to Victorian Gothic, a slight variation of the style popularized by John Ruskin. Three years later Vaux would bring the style to culmination with his extraordinary Jefferson Market Courthouse. Tilden’s finished residence stood out among the prim and proper brownstones along the park. Vaux used brownstone and “red-stone” for the façade, trimmed with red and gray granite that created contrasting belt courses and panels. The façade was encrusted with carved portraits—Shakespeare, Dante, Benjamin Franklin, Milton and Goethe among them—and floral and geometric designs. The New-York Tribune called the house “magnificent” and reported on its hardwood trim, carved ceilings, parquet flooring, carved mantels, tapestry walls, five bathrooms, laundry and “drying-room.” The New York Times said it was “most lavishly decorated." An enclosed tank on the roof provided running water. Tilden had the convenience of an elevator and his cook enjoyed a “French range.” Tilden’s renovations cost him about $500,000. 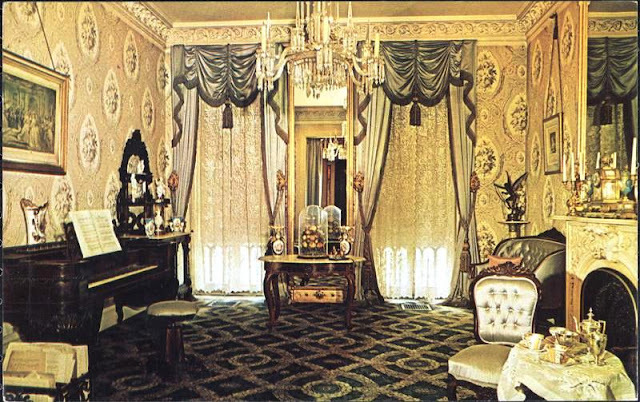 The dining room alone, which was “finished in gilt,” according to the Tribune, cost $40,000. John LaFarge and Donald MacDonald created stunning stained glass ceilings. Six years after the house was completed, there was apparently water seepage in the basement. Tilden hired Edward Van Orden to install water-tight flooring in the cellar. It was an expensive proposition, amounting to nearly $25,000. The contractor would discover that Samuel J. Tilden accepted nothing short of what he paid for. While the work was being done, Tilden made payments to Van Orden amounting to $13,079. And then the flow of cash stopped. Van Orden took his employer to court in June 1885, suing him for $10,261. He may have forgotten that Tilden was one of the country’s most respected and successful lawyers. Tilden turned the tables. The Sun reported on June 9 that his defense was that “the work was badly done, so that he had to employ other persons, at an expenditure of $12,147 to make a good job of it.” Tilden countersued Van Orden for that amount, plus $1,000 in damages from the work Van Order did in the cellar. Sabin’s plans for the house did not include moving in, however. The grand home became “The Tilden,” an upscale rooming house. The tenants were upscale, like Dr. and Mrs. J. Whitney Barstow whose daughter Margaret Macdonald Barstow married Leonard Stuart Robinson Hopkins in February 1900. The society wedding took place in St. Thomas’s Episcopal Church on Fifth Avenue and the reception followed in the Tilden mansion. Naval Commander Charles Herbert Stockton lived here in 1903 when, on April 3, Washington announced his appointment as naval attaché at the United States Embassy in London. The New-York Tribune called him “one of the best known officers of the service.” He wrote the “Manual of International Law” used by the military. By now Calvert Vaux’s outstanding façade was less than remarkable as trends changed. The New York Times surprisingly opined on May 11, 1899 “The Tilden house does not differ particularly in its exterior from the other fine dwellings on Garmercy Park." 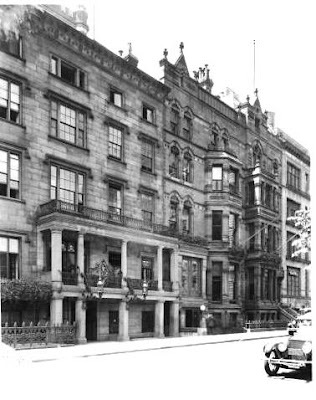 The mission of the National Arts Club was to “stimulate and promote public interest in the arts and educate the American people in the fine arts.” Member and first President of the club, George B. Post, set to work designing the addition, which would replace Tilden’s extensive gardens. The 12-story building would provide studios with northern light across the park to artists. 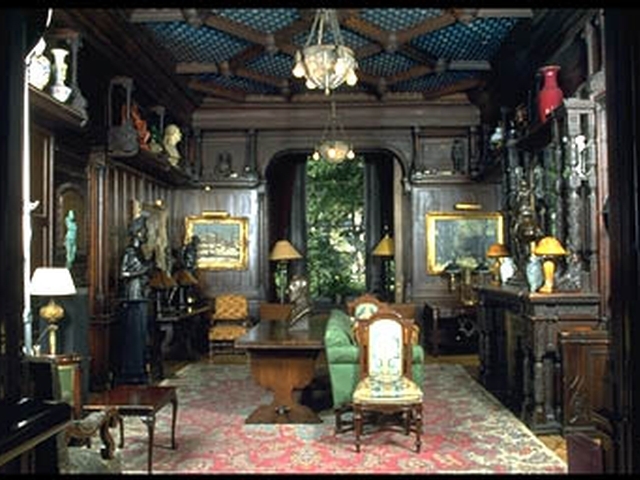 The New York Times reported that “The Tilden mansion will be altered somewhat to fit the requirements of the Arts Club. The main entrance will be into the basement, like that of the adjoining Players Club; the smaller entrance with its outer stair leading to the first floor, will remain. This is to be a special entrance for the ladies of the club, taking them directly by a second flight to their own little suite of apartments on the second floor. 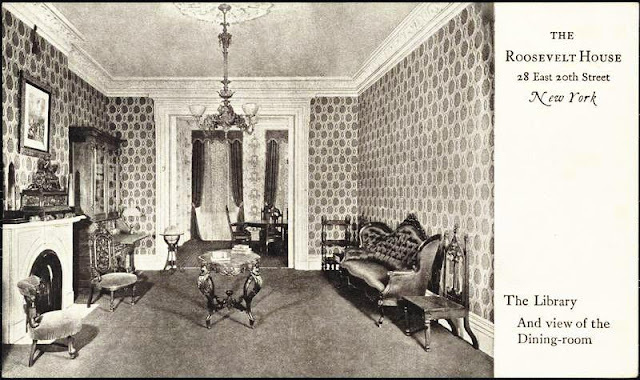 Interior work on the Tilden residence revealed passages and stairways that led to romantic stories of the politician having escape routes built into the mansion in case of assassination attempts by the Tweed Ring. On August 26, 1905 George W. Smith, for close friend of Tilden, sent an exasperated letter to the Editor of the New York Times dispelling the rumors. Throughout the century the National Arts Club welcomed a wide range of members, including three United States Presidents—Theodore Roosevelt, Woodrow Wilson and Dwight D. Eisenhower—as well as noted architects, painters, sculptors and performing artists. By the 1970’s the building was showing its age. 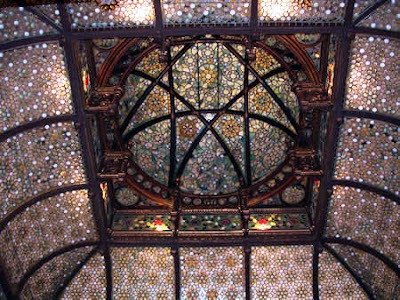 A restoration of the MacDonald domed glass ceiling was executed by Albinius Elskus, a stained glass artist and club member. But serious deterioration continued. In 1999 Ehrenkrantz, Eckstut & Kuhn conducted architectural studies, in concert with engineering studies by Robert Silman Associates. 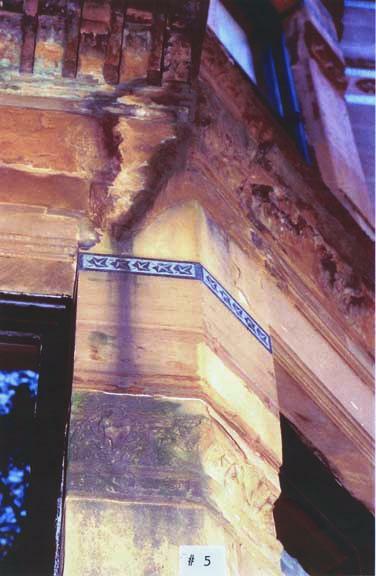 Their findings recommended a $2 million stabilization of the façade. Then-president of the club, O. Aldon James received the brunt of the blame for the sorry state of affairs. Of the 35 apartments in the annex, he, his brother John and their lawyer friend Steen Leitner used many for storage space. Ceilings collapsed from water damage and studios were piled high in trash. In the meantime, Aldon was under investigation for “alleged financial irregularities at the club." Samuel J. Tilden’s remarkable double mansion survives. It is a rare example of Victorian Gothic residential design in the city and the scene of an amazing page of New York and American history. By now the Roosevelt family had been in New York for two centuries and had accumulated substantial wealth and social importance. Theodore and Robert Roosevelt purchased the new houses at Nos. 28 and 26, respectively. Theodore, a lawyer, married Martha “Mittie” Bulloch five years later. His brother Robert was a publisher. Theodore and Mittie started their family in No. 28 when little Anna Roosevelt was born. Soon after came the first boy, Theodore Roosevelt, Jr., born on October 27, 1858. There would be another son and daughter. He taught himself the basics of taxidermy and his little museum exhibited stuffed animals he had killed and prepared. By the age of nine he had documented his study of insects in a paper “The Natural History of Insects.” Much to his delight, the backyard of the Peter Goelet mansion on Broadway, behind the Roosevelt house, held a menagerie of cows, pheasants, storks, and other exotic animals. Home schooled by tutors, little Theodore Roosevelt’s mind and body developed at No. 28 East 20th Street. He did breathing and strength exercises in the back yard and began boxing. It was here that his championing of “the strenuous life” started. 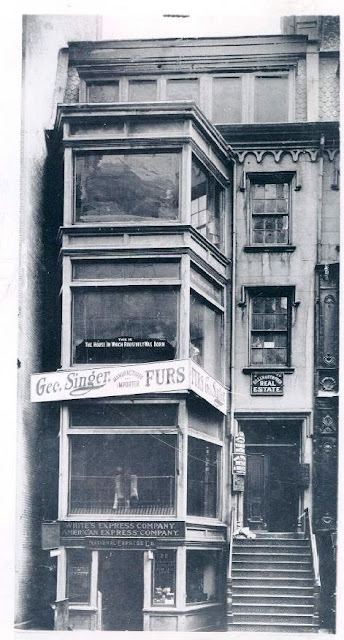 By 1894 Dr. Elmer P. Arnold had established his practice here; most probably in the basement level. He hired as his nurse Mrs. Ellen A Clayton, who lived conveniently nearby at No. 37 East 20th Street. Ellen made a shopping trip to one of the Sixth Avenue emporiums on January 11, 1895. A few inexpensive items caught her eye so she took them. Literally. Unfortunately for Ellen, a store detective noticed her stuff a pair of 60-cent gloves in her pocket. She was arrested with goods totaling less than $3.00 on her. Amazingly, she had $116.16 in cash in her purse—nearly $3,000 in today’s money. When the Sergeant at the West 13th Street Station asked her why she stole the items, “She told the Sergeant she thought she must be crazy,” reported The Times. The Wendell Dining Rooms would last only a year or two. The Roosevelts sold the house, oddly enough still described as a “four story dwelling,” to William R. Kendall in 1899. Coexisting with the variety of businesses in the building were a few tenants. In 1900 artist Paul Nimmo Moran was living here. That same year Theodore Roosevelt was elected the 26th President of the United States. Early in October, 1904 a group of Republicans from the 17th Election District “formulated the plan of holding meetings in a ‘hallowed spot,’” as reported in The New York Times on October 21. The new organization called itself the Roosevelt Club and leased the only room available in the Roosevelt birthplace. The purchasers were represented by the Douglas Robinson, Charles E. Brown Company. The Robinson family was related to Theodore Roosevelt by marriage. Popular lore today often insists that the house had been leveled and the Memorial Committee was charged with reproducing the house from scratch. Although the house was heavily altered, tales of its complete demolition, like Mark Twain’s premature obituary, are greatly exaggerated. The Memorial Committee commissioned female architect Theodate Pope Riddle to oversee the restoration. Riddle used the Robert Roosevelt house, an exact copy, as a pattern for the new house museum. The Gothic Revival drip moldings, the marvelous row of arches beneath the cornice, the floor-to-ceiling parlor windows opening onto the cast iron balcony and the fish-scale tiled mansard roof were all reproduced. Then, having used the house at No. 26 for its details, she promptly obliterated them. 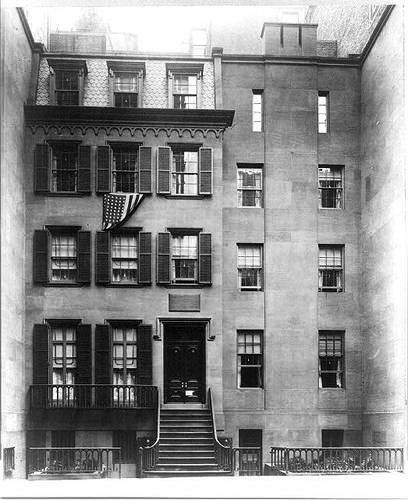 More than half a century later the Landmarks Preservation Commission would diplomatically say she “subordinated the features of the Robert Roosevelt house in order to enhance the importance of Theodore Roosevelt’s birthplace.” In fact, seeing no historical importance in that building, Riddle replaced it with a flat, featureless wall with windows. As would be expected in the 1920s, The Times saw nothing wrong in the unsympathetic conversion. Roosevelt’s widow, Edith, and his two sisters donated original furnishings. Rooms were outfitted to reflect the house as it appeared in 1865. By October 1922 the Committee had received contributions totaling $1.9 million and collected thousands of items related to Roosevelt. The house contained five period rooms, two museum galleries and a bookstore. The house was finally completed and dedicated on October 27, 1923. Twentieth Street was roped off and “hung with American flags” and amplifiers carried the addresses to the crowd of 600 outside. For years the Woman’s Roosevelt Memorial Association presented a bronze medallion at an annual reception in the house. On January 4, 1933 it was Amelia Earhart who was awarded the medal which bore a portrait of Roosevelt. 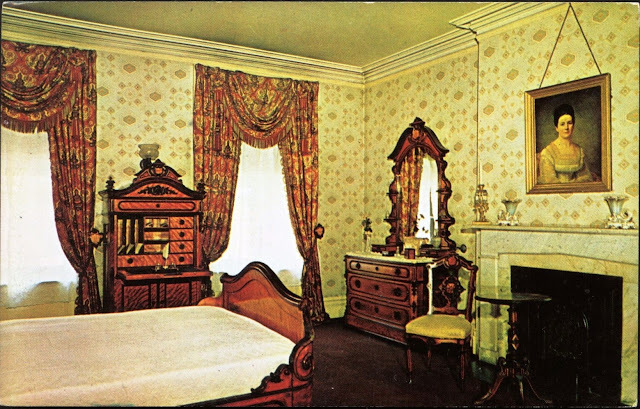 A mid-century postcard shows the bedroom where the president was born. In 1963 the house was donated to the National Park Service and it was listed on the National Register of Historic Places on October 15, 1966. Few passersby would suspect that the prim brownstone-fronted house suffered serious abuse a century ago and that little is original. The Roosevelt House is a remarkably early example of historic preservation, especially considering the monumental task the women who envisioned it had before them. Born into a noble Hungarian family in 1802 in Monok, Lajos Kossuth developed into a fiery nationalist. Educated as both a journalist and lawyer, he used his several newspapers and journals to disseminate his then-radical ideas—independence from the Hapsburg Monarchy, industrial development and freedom for the peasant class. By the time he was in his early 30s, he had established himself at the forefront of the country’s reform movement. In 1847 Kossuth was elected to the national assembly, the Hungarian Diet. Within a year he led the grassroots revolution that overthrew the old regime and established a new Hungarian government. Kossuth’s coup came at a time when European monarchs were threatened with multiple nationalistic uprisings. Anarchist groups spread what emperors and kings considered dangerous, treasonous propaganda; and the several revolutions of 1848 forced the Austrian Emperor Ferdinand I to abdicate in favor of his nephew Franz Joseph. Franz Joseph, allied with the mighty Russian army, squashed the new Hungarian government in 1849, forcing Lajos Kossuth into exile. The silver-tongued diplomat, revolutionist and reformer traveled throughout Europe lobbying support for Hungarian independence. He then turned towards a sympathetic audience: the young, democratic nation of the United States of America that had fought its own battle for independence less than a century before. Kossuth spent days visiting groups and attending luncheons where “in many speeches of acknowledgement was obliged to air his undoubted powers of oratory,” said The Sun. 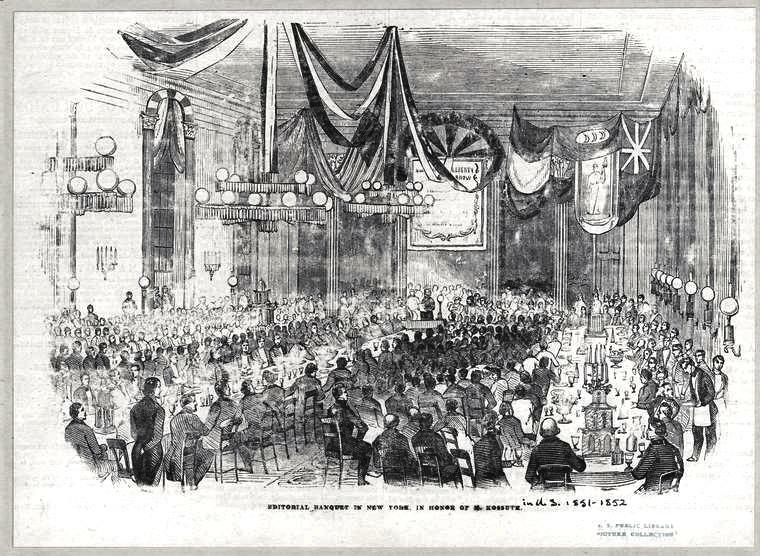 Then on the evening of December 12 city officials hosted a grand dinner at the Irving House in the banquet hall. At one point the throng of well-dressed guests stood and cheered to a grand toast. “Perhaps the most enthusiasm after the 300 champagne corks had popped was expended over the toast, “Hungary Betrayed, but Not Yet Sold,” said The Sun. 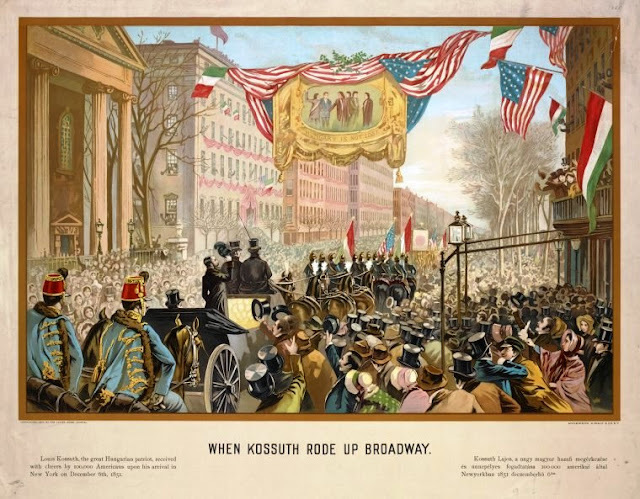 Kossuth left New York for Philadelphia and Boston and, oddly enough, by the time he returned to New York “for his homeward journey there were few New Yorkers at the steamer to speed him—the Kossuth mania had become a thing of the past,” reported The Sun. Thirty-three years later, early in 1927, Hungarian-American Gezo Barko initiated a campaign through the daily Amerikai Magyar Nepszava to erect a statue to Kossuth in New York City. Although fund raising was conducted primarily through Hungarian-American religious and civic groups, the general public of New York contributed as well. Mayor James Walker organized and headed a statue committee and convinced the city council to designate a fitting location on Riverside Drive. The original idea was for a memorial bust; but fund raising met with an unexpected response and a full-blown monument resulted. Hungarian sculptor Janos Horvai was commissioned to design the sculptural grouping, based on the Kossuth statue in Cegled, Hungary. The project progressed with astonishing speed and on November 5, 1927 ground was broken for the base of the statue. The New York Times provided a description of the coming monument. At the foot of the pedestal a young Hungarian soldier offers his hand to an aged peasant, symbolically raising him from his suffering. News of the impending unveiling reached Budapest. Zsigmond Perenyi, president of the Magyar Nemzeti Szovetseg (the Hungarian National Alliance) and Jozsef Zsenyi, director of the Amerikai Magyar Tarsasag (the American Hungarian Society, took advantage of it to create an overwhelming public relations event. They established the Hungarian national Kossuth Pilgrimage Committee and planned a 500-person pilgrimage to the United States to attend the unveiling. In addition, thousands of books were collected to be distributed among Hungarian-American children. Not all Hungarian-Americans were pleased to hear of the impending “pilgrimage.” Infuriated that the conservative government would intrude upon the ceremony for the liberal-minded Kossuth, they planned counter-demonstrations. On March 10, 1928, five days before the unveiling, The New York Times reported on the city’s preparations to receive the Hungarian pilgrims and for the unveiling. The Hungarian officials would be entertained at receptions and dinners and on the day of the unveiling a parade would proceed from 59th Street and Fifth Avenue north to 110th Street, then west to Riverside Drive. “During the ceremonies soil from 400 parts of Hungary will be mingled in an urn with soil from many American States and placed beneath the pedestal of the monument,” the newspaper said. In the meantime the Anti-Horthy League, the group protesting the arrival of the representatives of the Horthy government, called for Samuel Untermyer, a Horthy supporter, to step down from membership on the Kossuth Reception Committee. Untermyer fired back in a letter published in The Times. “No condonation of or sympathy with Hungarian or other Jew-baiters is involved in acceptance of membership on this committee and I accordingly respectfully decline to withdraw my name from the committee unless some very much better reason than you have presented in your letter can be offered for such an unfriendly act to the memory of so great a liberal as was Louis Kossuth,” he said in part. Cast in Budapest, the statue had cost over $30,000. Despite a protest, the unveiling went off smoothly in the presence of around 25,000 viewers. The unveiling speech was made by Baron Zsigmond Perenyi, the statue was presented to the city by Mrs. Geza Berko (accompanied by a 24-gun salute), Mayor Walker gave his acceptance speech and the Mayor Sipocz of Budapest followed with an address. But within six months there were problems. Members of the Anti-Horthy League charged that “not only had there been graft in the collection for the shaft, but the figures themselves were made of cheap bronze and were already beginning to decay,” reported The Times. He added that the bronze was of poor quality and was already cracking in several places. By 1930 it was obvious that the monument had a significant problem. The Times had earlier reported that “While there was no immediate danger of the statue crumbling…there was danger of ultimate collapse due to the fact that the steel supports inside the bronze figures were not galvanized and are therefore subject to rust.” In response the entire monument was taken apart, the statues were recast and reassembled. At the time the bronze bas relief tablets were not replaced; but presented by the artist to the First Hungarian Reformed Church at No. 344 East 69th Street. No longer a lightning rod for political dissension, for nearly a century the monument has been the focal point of the celebration of Hungarian Independence Day on March 15.